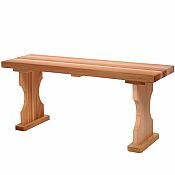 This 4 Foot Backless Patio Bench is crafterd from Western Red Cedar. 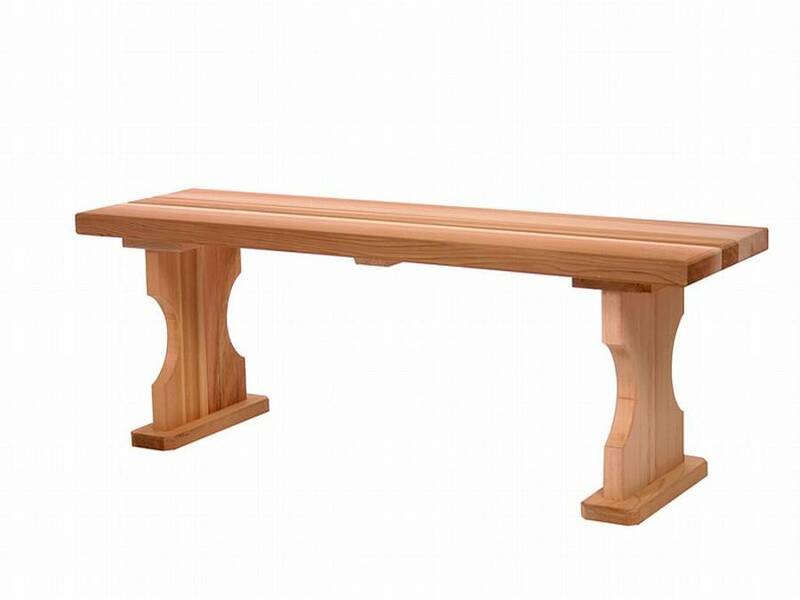 This bench is perfect for the patio or deck and is a great place to sit and watch the kids play in the yard..
Unassembled Kit: If you don't mind assembling your own furniture, these kits include the same quality and detailed craftsmanship that is featured in our pre-assembled (knock-down) line of furniture. All components have been pre-cut, drilled and sanded.